Hello! 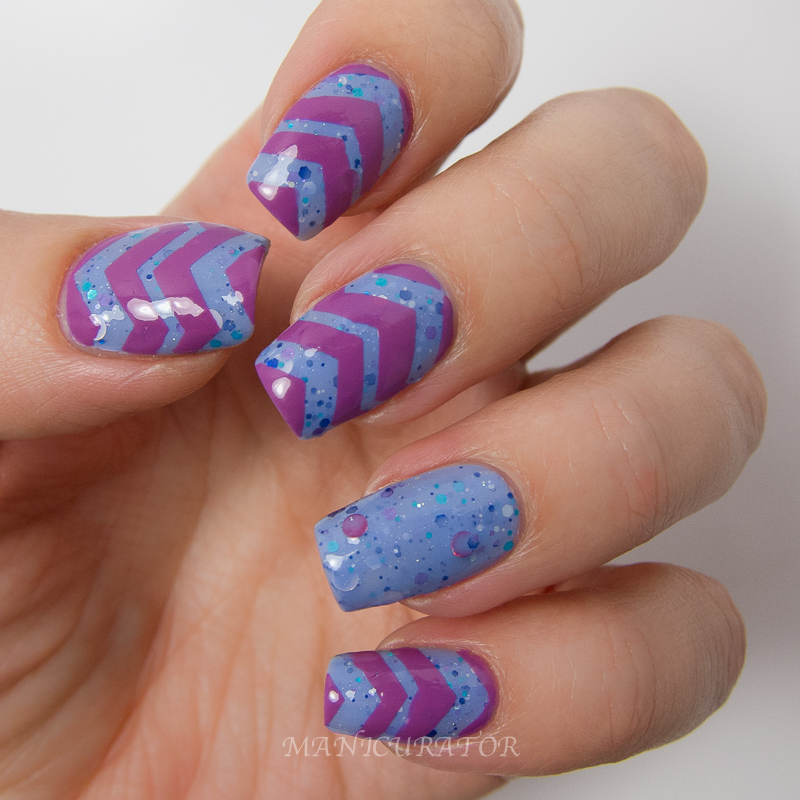 Bringing you another nail vinyl nail art look with two shades from KBShimmer Summer 2014 and their nail vinyls! I have to confess, I made this back in Summer, before my move! I definitely underestimated how time consuming and exhausting moving would be! Slowly getting back on track but will still be squeezing in some older posts too. 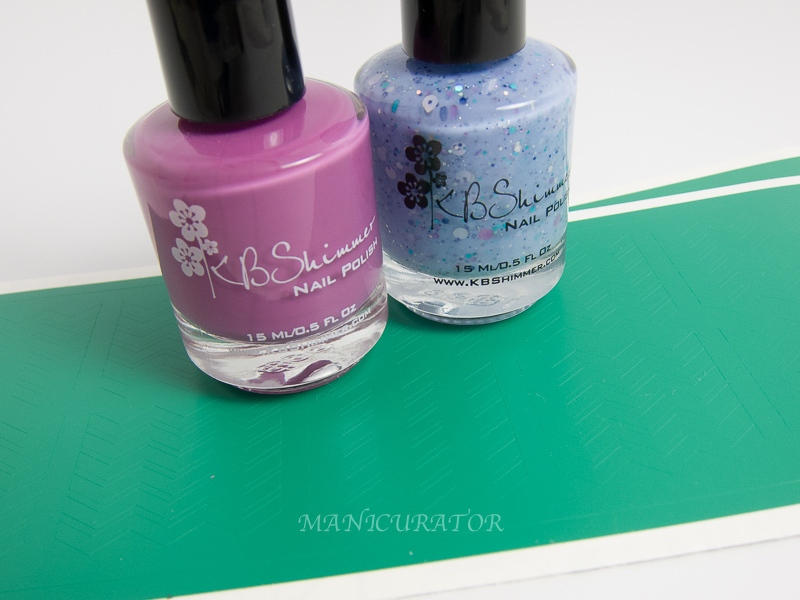 KBShimmer Radiant Orchid - pink toned purple has fuchsia and mauve undertones. KBShimmer Periwinkle In Time - Inspired by blue hydrangea and periwinkle flowers, this soft cool blue has a purple undertone, making it the most perfect periwinkle color. Accented by silver holo and violet holo circle glitters and holo glitters in teal, violet, marine blue and silver and a micro holo shimmer. Another look at the gorgeous Summer 2014 collection. You'll see Perwinkle in Time on the bottom left and Radiant Orchid on the bottom right. KBShimmer Periwinkle In Time Two coats seen here, excellent formula. KBShimmer Clearly on Top Top Coat used for this swatch. 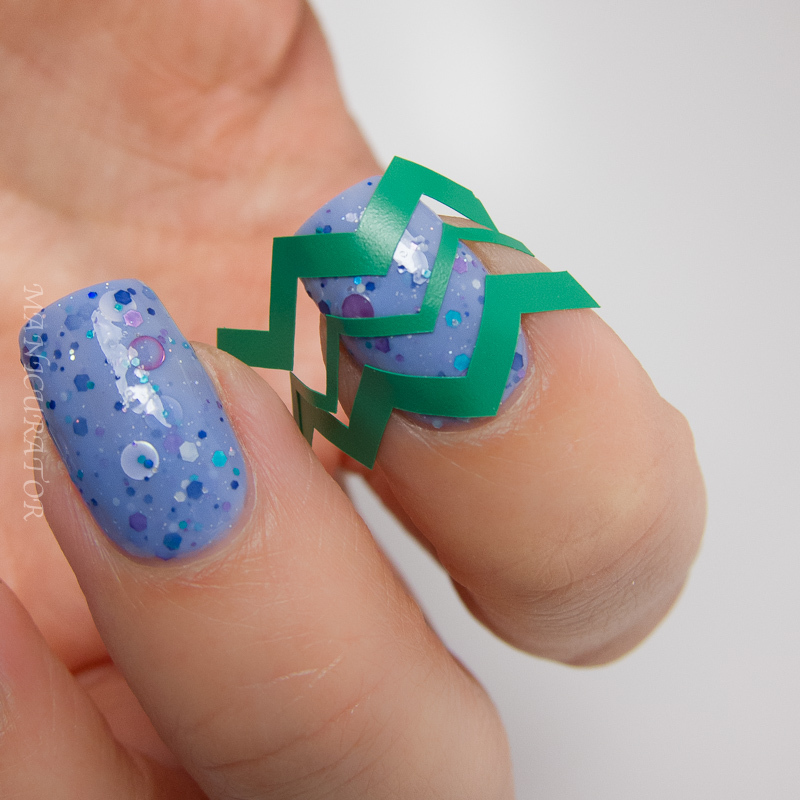 Super easy nail art is possible when you use nail vinyls! 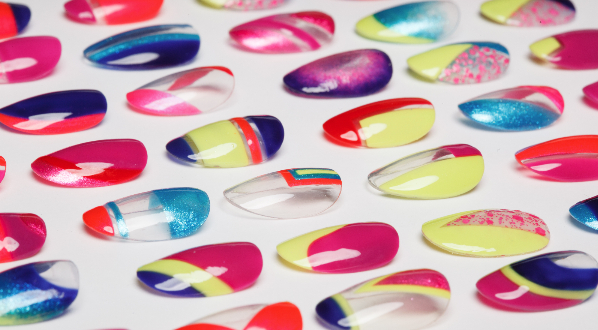 Allow base shade to dry fully, apply your vinyls making sure they are pressed down firmly making a seal to the nail polish underneath. 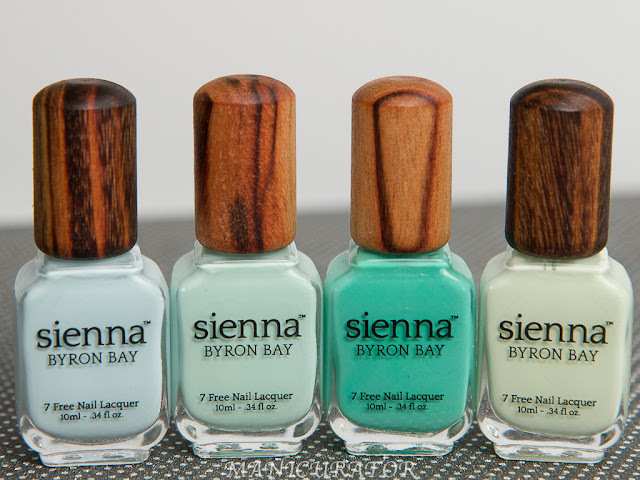 Paint your second shade(s) in your chosen sections and quickly lift vinyls before the polish has a chance to set. What do you think? I love how these two shades complement each other! Those are gorgeous! Love the nail art so much. I love that Periwinkle In Time! And that collage of the Summer Collection - I almost fainted! I had just been looking at a couple of other brands' collections coming out and was feeling blah about them. 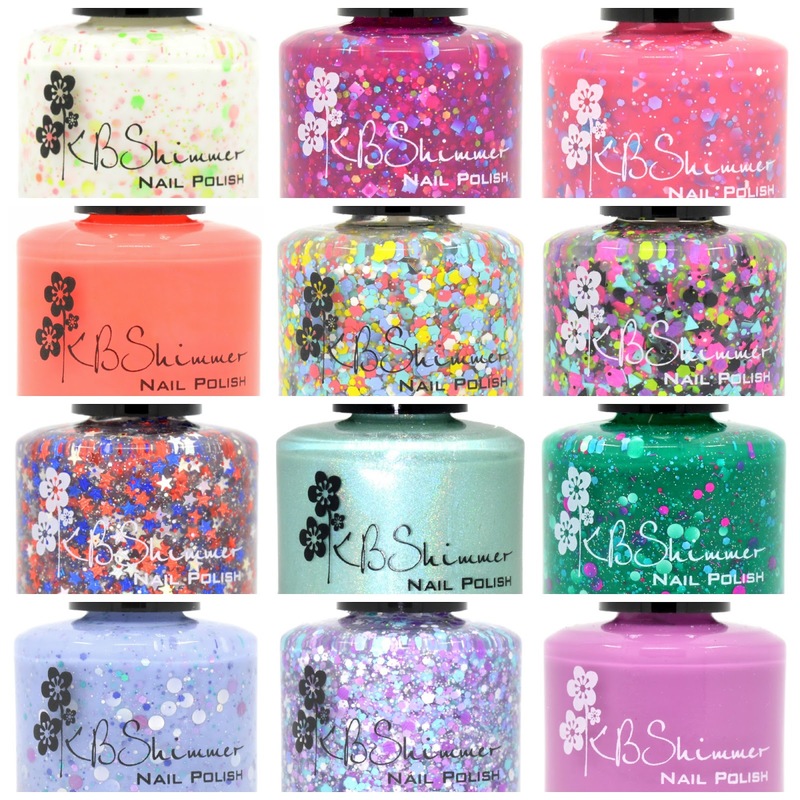 The sight of all those pretty polishes in the Summer Collection lifted my spirits! The mani is beautiful! Those 2 are perfect for each other. I have some of the vinyls and even I found them very easy to work with and got great results! KBS is wonderful! Those shades look amazing together! Beautiful!! I'm glad you posted because nobody but you will notice the teeny tiny smudge on the pinky! If you hadn't said anything, I never would have noticed! Periwinkle in time is so so pretty!